A fellow blogger sent me an e-mail because it is summer time and he’s been swimming outdoors. However, sometimes there might be inclement weather, which requires exiting the pool or not getting in at all. He was wondering what dryland exercises compliment (or even substitute) swimming and if I had any circuit suggestions. Everything! 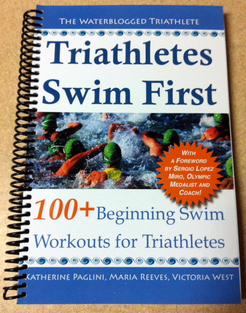 They come with great booklets of exercises that you can use them for. There are also great TRX videos on youtube. As a swimmer/coach, I’ve often done circuits that we’ve set up with 10-15 exercises in which we perform :30 max repetitions and have :15 to switch to the next exercise. Now, as a beginning triathlete I often find myself doing my cardio first, followed by short circuits that have 3-4 different sets made up of 3 rounds of three exercises. There are so many things I haven’t touched on yet. I’m also learning new things everyday. What kind of circuits do you do? What about crossfit peeps or Insanity fans? Do you think these exercises have a place in triathlon? Probably depends a lot on the distance of the triathlon you’re training for.